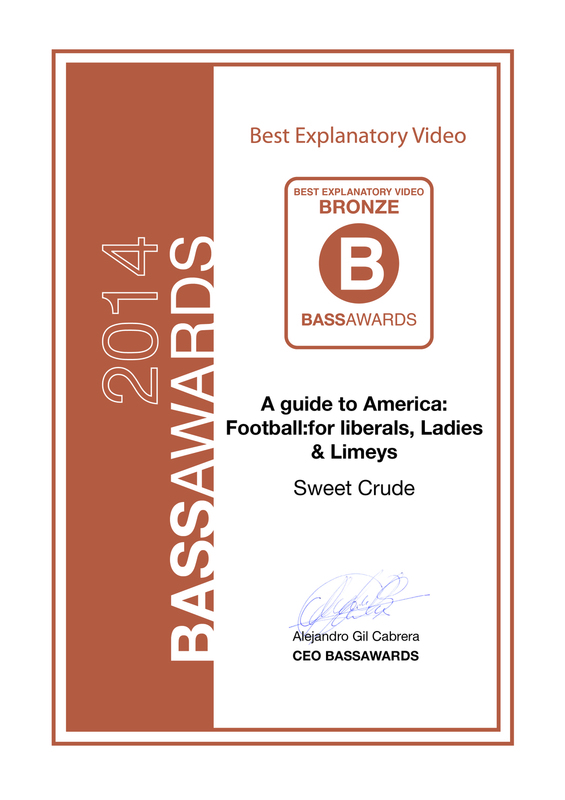 Fraser Davidson, Cub Studio co-founder, won a Bronze BASS Award for his work on "A Guide to American Football: for Liberals, Ladies & Limeys"! When we say "his work", Fraser actually wrote, animated and directed the piece! The animated video is a light hearted look at the teams, rules and American Football itself, check it out below. From conception to final render in an incredible 15 days - legend has it Fraser didn't change his shorts or flip flops for two weeks straight! With over 200,000 plays to date the piece quickly went viral with no budget or seeding needed.